The former police chief of Toronto, Bill Blair, may not be retiring from public life just yet. 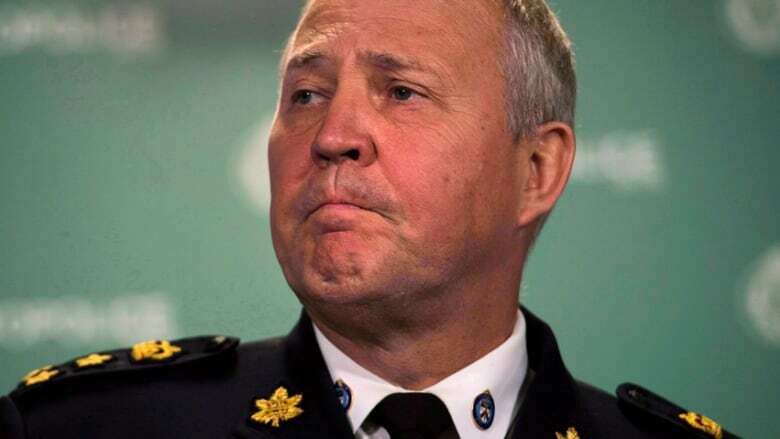 Bill Blair, the former police chief of Toronto, may not be retiring from public life just yet. Soon after finishing his tenure as the city's top cop, Blair has confirmed plans to try and dive into the world of politics. Blair is going to try and win the Liberal Party nomination in the riding of Scarborough Southwest. Can Mark Saunders lead change as Toronto's new top cop? "It might have been nice to take a few days off, but I'm not a day-off guy," Blair told CBC News Network on Sunday afternoon. "I've been, sort of, working full-out for a very long time." Blair, 61, led the Toronto police force for a decade. But he wants to continue to find a way to contribute to public life. "It's time to step on and find a new way to try to serve the people of this city and I've made my choice and I'm saying that publicly today," he said. Asked why he chose to run for the Liberals, Blair said it came down to values. "Frankly, Mr. Trudeau and the Liberals put forward values that I felt most closely aligned with," said Blair. Blair acknowledged that he has lot of work ahead of him if he hopes to capture the nomination. "There's a lot of really good people who have already put their names forward and they care about their communities and they know a lot about their communities," he said. "And I need to talk to them...we need to come, I think, through this process together, because at the end, we all have to be standing together." Tim Weber, a former journalist with CTV News, is also running for the nomination in Scarborough Southwest. He tweeted Sunday that he welcomed the newly retired police chief to the nomination contest. I welcome Bill Blair to <a href="https://twitter.com/hashtag/lpc?src=hash">#lpc</a> nomination race in Scarborough Southwest. We have a great group of candidates here ready to paint SSW red. If successful in his nomination bid, Blair would then be looking to win the seat in the upcoming federal election later this year. The east-end riding, which touches Victoria Park Avenue on its western edge and is bounded on its southern end by Lake Ontario, has been held by New Democrat Dan Harris since 2011. Prior to the past federal election, the Liberals had held the riding for multiple elections. Tom Wappel was the MP for Scarborough Southwest from 1997 to 2008. Michelle Simson then won the seat in the 2008 election, before she was defeated at the polls by Harris in 2011. Several Canadian police chiefs have stepped into politics and ended up taking on new roles on Parliament Hill. Julian Fantino, the associate minister of national defence, was elected as the MP for Vaughan, Ont., in a 2010 byelection. He then won re-election in 2011. Fantino was Blair's predecessor as chief of police in Toronto. He also led the Ontario Provincial Police and served as chief in York Region and in London, Ont. Senator Vernon White served as Ottawa's chief of police before he was appointed to the Senate by Prime Minister Stephen Harper in 2012. White also led the Durham Regional Police Service and served as an assistant commissioner in the RCMP.